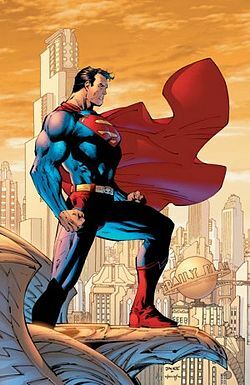 I was thinking about this recently because I’ve been having a marathon run of the television series Smallville, which if you don’t know, is about Superman. Now, granted, there are a plethora of incarnations of the Superman costume across a variety of media. I mean, the…Superman…has been around for seventy-five years! The reason I like it so much is because of the vibrant, primary colors that automatically infuse one with a sense of hope, optimism, wonder and whatnot. It’s a simple trench coat with a Rorschach-like face mask; hence the name. But I love it. The character is very ambiguous and that’s obviously reflected in his very name, as well as his presentation.